DALLY'S OZARK FLY FISHER is your Gateway to the White River system and the fisheries of the Ozarks. We are a full service fly shop and guide service in Cotter, Arkansas, just a mayfly flight from the White River. Whether you are heading onto the White, the smallmouth creeks or futher afield our aim is to give you the best advice and the gear you need. Wander in and make yourself at home, you'll be always made welcome. Check the waterflows, the river and guide boards, and ask a bunch of questions, the guy helping you out will probably be one of our guide team, most of us are. 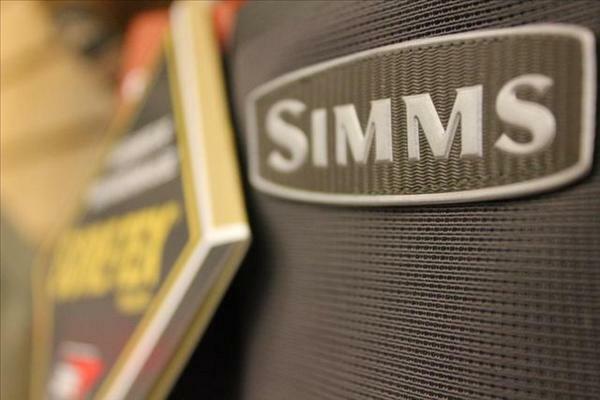 Our fly selection is second to none. Our fly bins feature the best patterns from the finest fly makers, Umpqua, Rainys and Boogle Bug. We also pride ourselves on our locally tied selection featuring the flies of gurus Davy Wotton and Duane Hada, the best producers from the fly boxes of our guide team, and select flies from well-known local tiers. The shop features the a carefully selected lineup of fly fishing products: the gear you really need, well priced and stuff we have put through the wringer ourselves. If it doesn't hold up to our abuse why should we sell it to you? 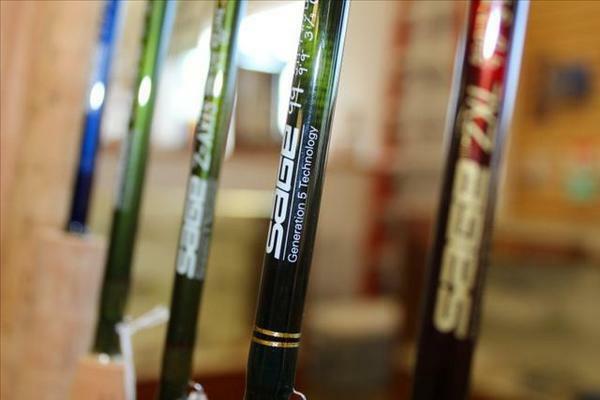 We have one of the largest selections of Sage and Temple Fork Outfitters fly rods in the region; reels from Sage, Waterworks-Lamson, Abel and TFO; waders, boots and clothing from Simms; vests packs and bags from Fishpond; flylines and leaders from Rio and Scientific Anglers; and fly tying materials and tools from Wapsi, Renzetti, Metz, TMC, Hareline and more. 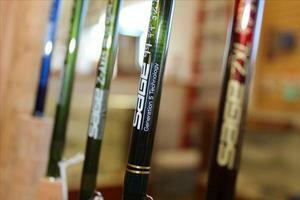 We are now carrying Orvis rods, reels and other fly fishing products. Come and check out the new H2 rod. Come into our store at the start of your trip, or shop at our Online Store or call us at 870 435 6166. We will see you are treated right.